This article is intended to be your 3D Web first aid kit. Here we’re going to maintain the list of browsers which support WebGL and suggest solutions for resolving common problems around using this technology. 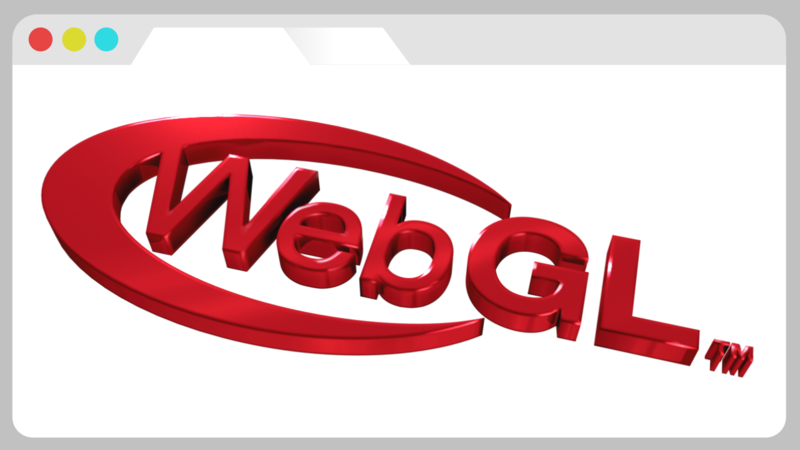 WebGL (Web Graphics Library) is a technology for rendering interactive 3D graphics within web browsers. The most prominent feature of this technology is that it works out-of-the-box without the need to download and install any third party plug-ins. Well, it is supposed to just work – if it is not, read further. In 2011, the WebGL technology was standardized by the the Khronos consortium, the leading player of 3D graphics industry, and is now enabled by default in all major browsers. As it happens, not all browsers are created equal. Historically, WebGL was shipped by only two browser vendors, Mozilla and Google, while other vendor were reluctant to implement then state-of-the-art technology. Things drastically changed after Apple and, finally, Microsoft joined the 3D Web club. Today, almost all Internet traffic goes through WebGL-enabled client software, making this technology a robust and widespread foundation for delivering interactive 3D content to 4+ billion of users. Our rating of desktop and mobile browsers supporting WebGL looks as follows. Google Chrome was the first browser that introduced 3D support back in 2011. Being the most popular user agent, it comes with the most advanced and fast WebGL implementation. Prefer using it for best experience with 3D web applications. Google Chrome Mobile which is now widespread across Android devices, also offers a good WebGL implementation. The only exception, however, is Chrome for iOS, which is restricted to having the same set of features as the iOS’ default Safari. So it does not make much sense to install it on iOS. Firefox works with 3D rather well. The mobile version, however, is not that good due to various issues with this technology. Safari is the default browser on Macs. It supports WebGL starting from OS X Yosemite released in 2014. If you have an older operating system, consider upgrading it or installing Chrome or Firefox. Safari iOS is pre-installed on iPhones and iPads. It became 3D-friendly once iOS 8 was released in 2014. Some features are still lacking, however (such as fullscreen), but you have no much choice anyway. Keep your iOS updated! Microsoft Edge is a new browser which only comes with MS Windows 10+. The latest versions of Edge work just fine. Internet Explorer is now considered a legacy program that nevertheless is still present in some places. Only version 11 offers some experimental WebGL support, which is rather limited and error-prone. We strongly recommend not using IE for running 3D apps. UC Browser is very popular in China. It is based on Chromium and as such, you’ll be not experiencing any issues with 3D. Samsung Internet is pre-installed on Samsung’s phones and tablets. It is also based on Chromium and should work just fine. The above list of WebGL-capable browsers is not even near complete. However, it constitutes 99% of the market and represents the current situation in the 3D Web industry quite accurately. Okay, you expected a nice 3D rendering in real-time, but encountered something like “Your graphics card does not seem to support WebGL.” You also visited get.webgl.org and couldn’t see the rotating cube… embarrassing! The possible reasons why your system cannot handle WebGL content include issues with your browser, graphics drivers, operating system and video card. First of all, use software from the list of supported browsers. Make sure that the latest version is installed. Get rid of IE11 and similar junk. If you like playing video games, you probably know well what it is and why you should always keep the drivers up-to-date. Any WebGL app is in essence a 3D game-like application so this is very important that you find out the vendor of your video card (Nvidia, AMD, Intel) and download and install the drivers from the official website. It is always a good idea to allow your operating system to install latest updates. This will not only keep you secure but also will provide with the latest software and useful features. Even modern browsers don’t like when they are launched on outdated operating systems. For example, WebGL is very likely to not work on Windows XP. This is a more radical and expensive way to improve your 3D web capabilities. Generally, a dedicated video card (such as GeForce or Radeon) is more powerful than an integrated one (such as Intel). On mobile, the more top-rated cell phones or tablets usually offer more performance and features compared to low-end devices. If none of the above did not help, feel free to ask for assistance on our forums. We are always glad to assist you!